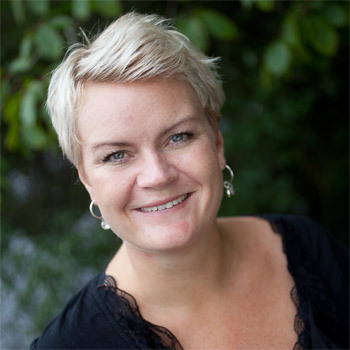 Heidi Sørvig is the Chief Executive Officer of Visit Sørlandet, a DMO that represents the region of Southern Norway, and which is recognized as an international leader for its innovative approach to industry development. She is also a spokesperson for organizational change, and believes that creating an organization whose foundation is well positioned for growth in the new economy means that big changes must happen, and be supported by an active leadership that truly collaborates with industry. “I was quite happy we didn’t have the budget,” she said of that time period because it forced the organization to think creatively about how to market itself. So Visit Sørlandet put its stake in the ground with a single approach: instead of focusing on people who didn’t know about Sørlandet, the DMO decided to focus on visitors who were already there and loved the area. DMOs tend to put the emphasis on gaining new customers, but Sørlandet chose to work with the advocates who had been there. “They are the best marketeers for our region,” Sørvig says. So collectively Sørlandet and its industry set a goal: to be number one at repeat visitation. They also formed a network – Arena Usus – that is a contract partner of a national initiative supported by Innovation Norway, The Research Council of Norway, and Siva – The Industrial Development Corporation of Norway. Repeat visitation has formed the basis of the network’s strategic focus and the DMO’s vision, allowing regional tourism businesses to boost profits, create value and gain a competitive and innovative advantage. “If you like a place so much that you want to come back, you won’t keep it a secret,” says the CEO. So Sørlandet actively guided businesses. The DMO worked together with the industry to develop the network and focused efforts around customer retention. “When you want to get industry on board, you need to speak the language they understand,” Heidi says. Usus started small – just 15 businesses – and focused on short-term results while also engaging in longer-term strategic planning. Digital marketing also became a big focus. Now, the network represents more than 100 businesses across all sectors and is still growing. There’s no culture of competition, either, she says. Businesses share learning and challenges, in order to improve their entire industry. Sørlandet also trains the operators in their network to deal with customer challenges, positive and negative reviews, using sites like TripAdvisor, and on how to get visitors to come back or recommend the destination. “Is a satisfied customer good enough? Is that enough to have them to recommend things to others? We need to develop the WOW customer.” Usus also help businesses understand what is that makes them “WOW”, using the feedback to improve and innovate, or to develop digital CRM efforts. The bottom line, says Sørvig, is that “all of the programs are based on what the industry says they need.” This may not seem revolutionary, but this doesn’t always happen at DMOs. 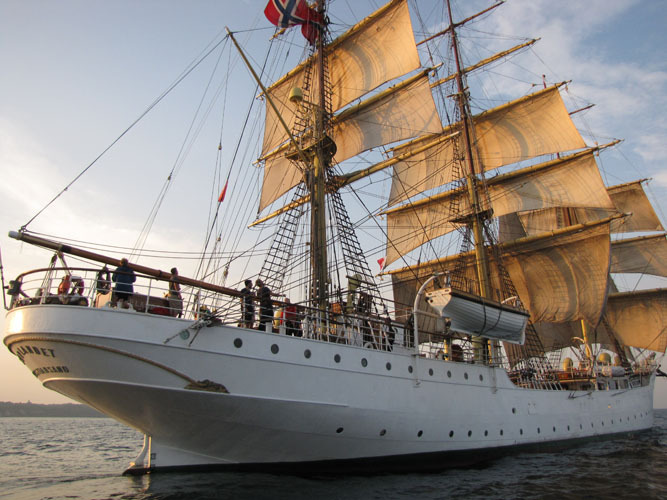 By taking that approach, Sørlandet actually met its objectives – 9 out of 10 visitors said they would return. Great to hear how Visit Sorlandet is playing out their leadership objectives. It’s often the smaller lesser known regions that have the largest appetite to enact their strategy. We’re seeing a wonderful case study develop in Northern Tasmania in Australia at present and it sounds like the Sorlandet example in its infancy, where the DMO has brought together a group of 15 operators to support each other to grow their digital skills. They’re using http://www.Tourismtribe.com has a shared learning and support resource, which is exactly what it was designed for. They meet weekly for an hour to discuss a particular digital marketing topic and tap into the relevant tutorials and resources on the Tribe. Such great leadership on the DMO’s part. Thanks for the comment, Liz. Yes, it’s great to see these examples of leadership play out so that destinations can learn from them while growing those digital skills! I never get tired of reading the Sorlandet story and I am very pleased that Liz chipped in with the success of TourismTribe down under. Other success stories, where residents and hosts have worked close together to market a destination that jump to mind are Inishboffin and Leaphead in Ireland where community involvement in tourism is strong. As to having visitors and residents become your marketing department – well that’s an idea whose time has not only come but is long overdue! I’d be interested to know how many destinations are using Reichheld’s Net Promoter Score as a KPI and if that costs too much money, how about having hosts count the number of hugs they get from guests when leaving. Key message IMHO – the primary role of a DMO should be capacity building and ensuring there is a culture and infrastructure that enable collaboration, co-learning and co-creating. Agreed on your key messages, Anna. Hugs are a great idea, too – who doesn’t wan to measure hugs?! – but for destinations or businesses that want to assess whether they’re delivering on the quality of their experiences, NPS is probably the way to go. (We talk about NPS and measurement more here: https://destinationthink.com/measure-success-new-marketing-world/). It’s hard to say how many destinations use NPS fully. In terms of cost, there are considerations. NPS in itself isn’t costly to implement, but a destination and its stakeholders will need to collaborate and settle on a process that allows them to gather, sort, and follow through on the results. Here’s where destinations can really take the lead and help organize. It’s about understanding how your visitors circumscribe ‘the destination’ and the experiences unique to that destination. It’s about experimenting with new approaches and engaging businesses in a far more compelling way. It’s about organizational change, something few marketers leverage. It exemplifies points of evolution in tourism that were widely shared by DMOs on linkedin: http://vacationbehavior.com/index.php/2016/02/15/mountain-resort-dmos/. Kudos to Heidi and Mikala for work that does nothing less than push the boundaries of conventional DMO thinking. Thanks for the comments, Jay, and for the link. Agree that a destination’s DNA (https://destinationthink.com/use-place-dna-define-destinations-core-identity/) is a required first step so that all stakeholders, including businesses, are on board for the journey, and so that creative partnerships with industry can flourish as a result.